Online store with a huge collection of exclusive vector templates for Wedding Invitations, Bridal Shower, R.S.V.P, Merry Christmas cards. Offered invitations are available with instant download and customization. 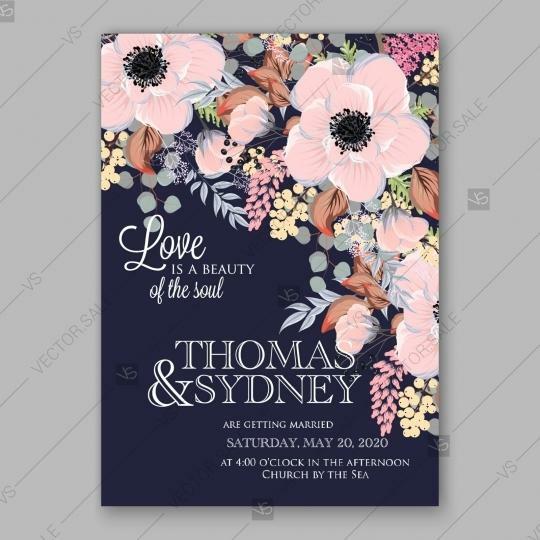 Pink Anemone wedding invitataion vector template. Wreath of flowers and eucaliptus .